The Angeles Conservation Foundation (ACF) is a 501(c)3 organization which funds charitable and educational activities primarily in southern California. 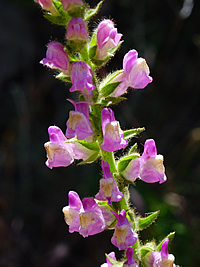 The Foundation was formed in 1986 as “Friends of the Angeles Chapter Foundation”, to support the charitable and educational programs of the Sierra Club’s Angeles Chapter. In 2007 our name was shortened to “Angeles Chapter Foundation”, with no change of purpose. In 2017 we added an alternative business name, “Angeles Conservation Foundation”, to reflect an expanded interest in conservation and educational programs beyond Los Angeles and Orange Counties. However, investment income from ACF endowments established before 2017 will continue to support the Angeles Chapter of the Sierra Club indefinitely. Recent grants to the Angeles Chapter have included supporting the Chapter’s publications, Conservation Committee initiatives and Inspiring Connections Outdoors programs which take groups of young people on day outings and overnight ventures into natural areas. 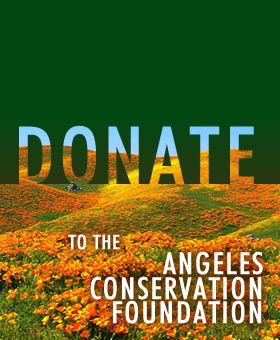 Annual IRS tax returns for the Angeles Chapter Foundation, aka Angeles Conservation Foundation, are posted at the California Dept. of Justice Registry of Charitable Trusts. Registration number 064345. IRS EID# 95-4112557.